Blue Apron is shutting down its operation in Jersey City and moving down the road. The meal-kit delivery service company said on Friday that it plans to move 1,270 employees from the existing fulfillment center to a newer, bigger facility in Linden, New Jersey about 15 miles away. The Jersey City location will close by October. Blue Apron (APRN) said in a statement that about 800 of the affected employees have already agreed to transfer to Linden. "We hope that the remainder of our Jersey City employees will join us in Linden, as their knowledge and experience is invaluable," the company said. Blue Apron also said it "anticipates" the number of layoffs to be less than 470. The company said it plans to employ some 2,000 employees at the Linden plant eventually. Blue Apron, which delivers nationwide, also has fulfillment centers in Arlington,Texas and Richmond, California. It's also building a new warehouse in Fairfield, California that will open next year. Employees at fulfillment centers are responsible for sorting and packing the meal kit's ingredients and corresponding recipe card. Earlier this year -- in documents made public ahead of its stock market debut in June -- Blue Apron said it was "in the process" of building a new fulfillment center in Linden. But this is the first confirmation that Blue Apron plans to shutter its Jersey City location. The company said it was "excited" to be bringing a new crop of "full-time jobs to the Linden community." But for employees who live in New York City and commute to the current center in Jersey City, just across the Hudson River from Manhattan, a move 15 miles down the New Jersey Turnpike adds a layer of complication. 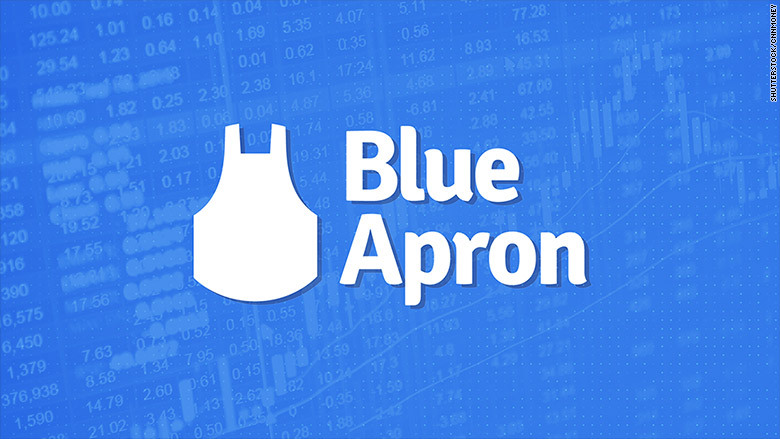 Blue Apron made its Wall Street debut on June 29 to a lukewarm welcome. Since then, its stock has shed nearly half its value. When the markets closed Friday, it was trading at $5.83 per share -- well below its $10 IPO price. A major reason for the falloff was a hint from Amazon in July that it planned to make a play in the meal-kit delivery market. As of April, the company employed a grand total of 5,137 full-time workers, and more than 80% of them worked in fulfillment.